The NDIA Rocky Mountain Chapter has established the Patriot Award, a recognition program. The Patriot Award is designed to recognize exceptional Americans in service to their country who have demonstrated a profound and abiding love of country and whose inspirational leadership, actions, and selfless dedication symbolize our nation’s ideals, values, and founding principles. The award is intended for U.S. military personnel in the enlisted grades, company grade officers, warrant officers, government civilians, and Air Force Academy cadets. The recognition is focused on military personnel stationed in the Colorado Springs area representing the major military organizations and bases. This year the chapter will recognize personnel from the Air Force Academy, Space & Missile Defense Command, Air Force Space Command, NORAD/NORTHCOM, and members of the various units stationed at Fort Carson. Additional organizations may be added in the future. Lieutenant Colonel Jared G. Clay distinguished himself as Deputy Commander for Clinical Services, Task Force Medical-Afghanistan. While engaged in action in support of Operation FREEDOM’S SENTINEL and the Resolute Support mission and personally exposed to significant risk of hostile action while involved in multiple indirect fire attacks, Colonel Clay provided medical direction and mentorship to 354 Army, Navy, and Air Force medics and NATO partners in support of Central Command’s busiest combat joint theater hospital and trauma center. After the unexpected loss of his lead trauma surgeon, Colonel Clay worked tirelessly to fill this crucial role, providing trauma mission support enabling continued combat operations. Leading his team during a high visibility mass casualty, Colonel Clay assured 100 percent survival for all victims including four coalition partners and three local children, generating a positive public affairs campaign and improving relations in the Bagram Ground Defense Area. While at the Air Force Academy, Lieutenant Colonel Clay has been central to a crucial military-civilian trauma partnership ensuring operational readiness for military surgeons. 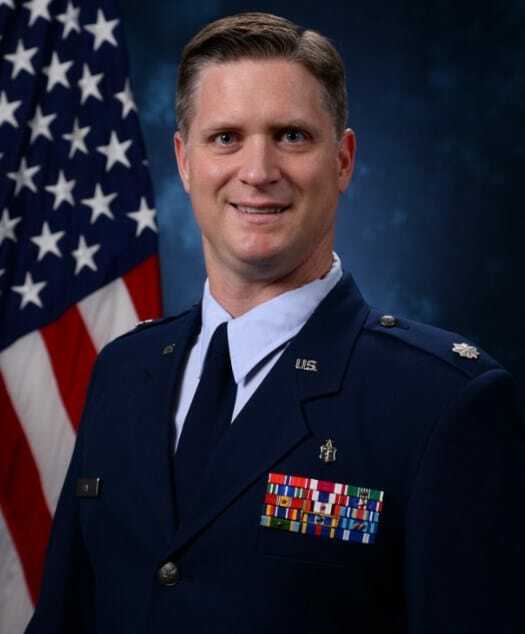 Since returning from deployment, he has taken over as Chief of Surgery, overseeing surgical operations at the 10th Medical Group with an average surgical caseload of 2,800 operations per year. He is pioneering surgical optimization for the Colorado Springs Military Health System working with Evans Army Community Hospital to standardize procedures and increase efficiency and interoperability of the two facilities. 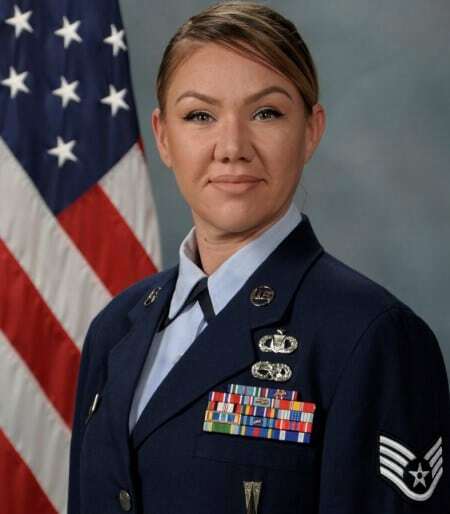 Staff Sergeant Megan Richards distinguished herself by outstanding achievement as the Administrative Support for the Special Access Programs Division, Directorate of Plans, Programs, and Financial Management, Headquarters Air Force Space Command, Peterson Air Force Base, Colorado from 1 November 2017 to 1 November 2018. During this period, she coordinated 11 Space Cadre Task Force discussions, connecting 21 agencies with efforts to reallocate 329 manpower positions in support of the Protect & Defend missions. Her meticulous nature was instrumental in creating a three-year strategic calendar capturing 99 milestones and 221 requirements enabling the Division Chief to defend 10 programs, estimated at $10 billion dollars. Additionally, she received the 2017 Headquarters Air Force Space Command’s Airman of the Year and Information Dominance Airman of the Year awards. 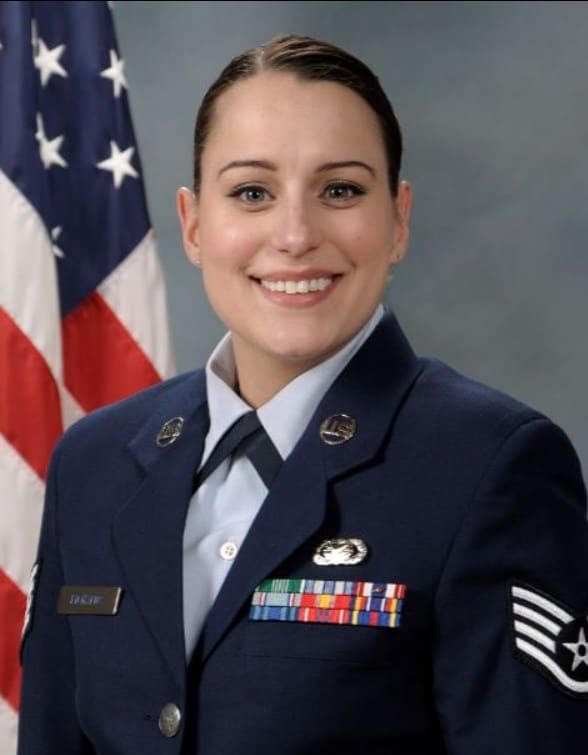 Furthermore, Sergeant Richards worked towards the completion of her Business Management Community College of the Air Force Degree by completing six classes while maintaining a 3.5 Grade Point Average. Moreover, she volunteered for the Veterans Stand Down Food Pantry where she collected and distributed over 23 thousand pounds of food, serving 134 thousand veterans. Lastly, Sergeant Richards’ selflessness extended to her Air Force brothers and sisters as she led a six-member Senior Non-commissioned Induction Ceremony presentation committee, honoring 44 inductees. Her selfless dedication deserves the recognition provided by the NDIA Rocky Mountain Chapter Patriot Award. In her role as Command and Control Operations Specialist, Sergeant Shultz coordinated an Air Medical Evacuation of a Honduran national police officer suffering from a gunshot wound. Her focused Professionalism enabled expeditious transport to a trauma center where the officer received lifesaving surgical care. As a senior Emergency Action Controller, she swiftly reported vital updates for 15 Medical Readiness Training Exercises and two Medical Civil Affairs Partnership Missions, publishing an astounding 75 Joint Task Force-Bravo Situation Reports. Finally, during a physical training session at the base fitness center, Sergeant Shultz noticed the Command Sergeant Major fall to the ground suffering from an episode of heart arrhythmia. Using her medical training and quick wits, she immediately provided CPR until paramedics arrived on scene and air evacuated the soldier, ultimately saving his life. A selfless volunteer, Christina volunteered for Habitat for Humanity, hurricane relief efforts and was a court-appointed special advocate. She spent 135 hours supporting 950K flood victims, aiding in $750K home renovation projects and prepped 200 foster children for a brighter future. 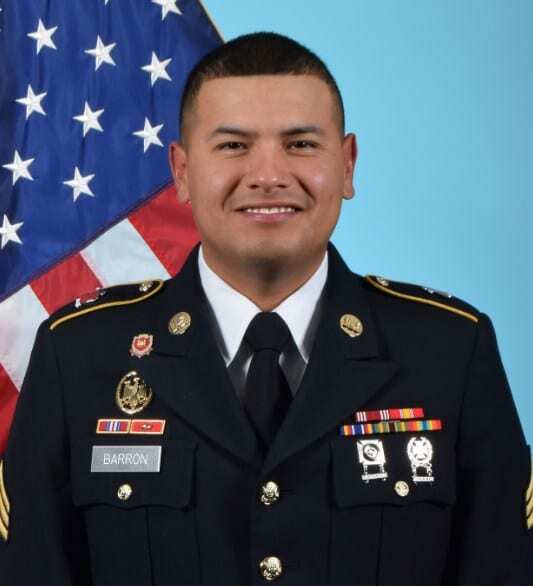 SGT Carlos L. Barron III is an Army leader who truly embodies the Warrior Spirit in his character and actions, attributes shown during an emergency situation on Fort Carson. While driving on the post, SGT Barron noticed a blinking red light in the road and identified an unmoving person lying in the street with a bicycle on top. He stopped his car to block any oncoming traffic, activated his hazard lights, and approached the scene. He immediately assessed the situation of a woman lying down, not moving and unresponsive. SGT Barron checked for blood and other critical injuries. Finding none, he continued his attempt to elicit a response from her. He did not move her from the road, aware that if she had spinal or neck injuries, moving her could cause further damage. With the help of another Soldier, they contacted 911 Emergency Services and explained the situation. Meanwhile, the cyclist became slightly responsive and exhibited signs of a concussion. She asked the Soldiers to call her husband and tell him what had happened and her husband arrived at the scene shortly thereafter. After the paramedics arrived, the Soldiers were no longer needed at the scene, so they departed. SGT Barron’s fast yet composed response to the situation is a demonstration of his caring and selfless nature. He consistently places the welfare of his Soldiers and all others above himself. Specialist (SPC) Dylan Caramella has leaned forward into every challenge his command could develop for him. Within a year in the operational force, he had been named both the SMDC Eastern Region Best Warrior and SMDC Soldier of the Year. His leadership and diligence were showcased during SMDC/ARSTRAT’s Best Warrior Competition when he earned the Best Soldier honors. The Best Warrior Competition recognizes Soldiers who demonstrate commitment to the Army values, embody the Warrior Ethos, and represent the Force of the Future. During the competition, these elite competitors will test their Army aptitude by conquering urban warfare simulations, board interviews, physical fitness tests, written exams and Warrior tasks and battle drills relevant to today’s operating environment. The victors in these contests are usually veterans with years of experience and cultivation; SPC Caramella won at two levels just after his first anniversary in the Operational Army. With a year and a half in the operational force after receiving a qualification in his Military Occupational Specialty of 25S1C or Satellite Control Operator, SPC Caramella is already being groomed for his future as a non-commissioned officer. 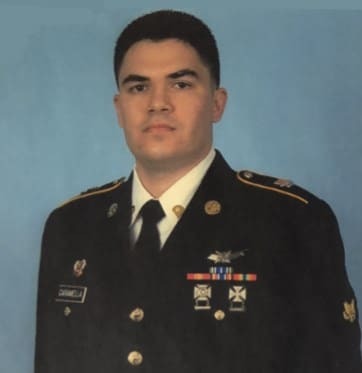 He earned his promotable status in the secondary zone and recently graduated from the Basic Leader’s Course at Ft. Dix, New Jersey where he was also nominated by his class for the Distinguished Leader’s Award. During his off-time, Dylan fosters dogs and is working toward the completion of his Bachelor’s Degree in Electrical Engineering.